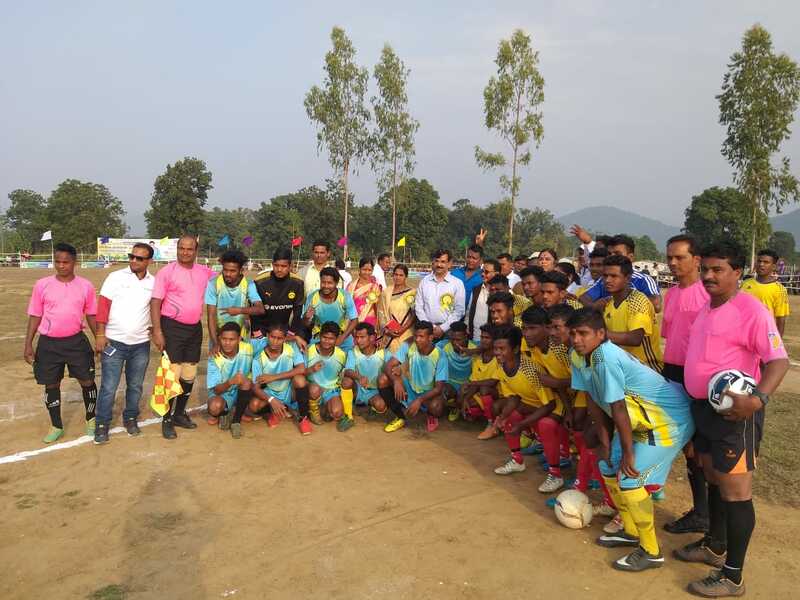 Lanjigarh: Vedanta Ltd. has kicked-off the Inter-State Football Knock-out Tournament 2018 at Chandanpur village playground in partnership with Shibaram Yuvan Sangh. With a view to promote sports in the region, football teams from Odisha, Chhattisgarh, Jharkhand and Andhra Pradesh are participating in the tournament. The tournament is being held from 4th December to 11th December, with a special women’s exhibition match between Jharsuguda and Sambalpur on 7th December to encourage girls to take up sports. The inaugural ceremony was graced by chief guests from local communities and Vedanta along with several employees of the organisation. Shri Balabhadra Majhi, MLA of Champadeipur, hoisted the flag to kick-start the tournament. He encouraged the participating teams to play their best game and uphold the spirit of sportsmanship. Mr Sanjeev Kumar, Director – External Affairs, Vedanta Ltd. said that sports not only help in maintaining health and fitness but also build character and discipline among individuals. He added that the tournament has truly displayed local people’s love towards football. The inaugural match was won by Sambalpur against Bhubaneswar 3-2 followed by Chandanpur’s 2-1 victory against Bhilai.